If you are an avid follower of technology, you might have heard of Progressive Web Apps (PWA) at some point of time or the other. Progressive Web Apps are said to be the future of mobile or web applications. Before we move on to tell you the benefits that PWAs provide to an organization, let us first understand what exactly PWAs are. A Progressive Web App is ordinarily a website or a web page but appears to its user as a traditional application or a native mobile application. It was first introduced in 2015 mainly in those markets that were doing poorly in terms of data connectivity and speed. They are also known as Installable Web Apps or Hybrid Web Apps. PWAs attempt to combine the features of modern browsers with the benefits of mobile experience. Big names known for introducing PWAs are Twitter, Flipkart, Makemytrip, PayTM, Wikipedia etc. A PWA bridges the gap between mobile applications and websites. They offer the functionality of both website and mobile apps while providing offline capabilities, improved speed and performance. These apps can be accessed both online and offline and they don’t need to be submitted to app stores for approval. Thus, the entire process speeds up. 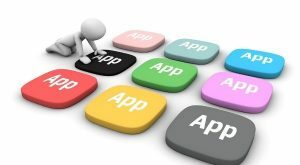 So, the question is, What is exactly with such apps that is making them the future of apps worldwide? Let us understand! Firstly, PWAs make it easier for the developers to get their apps to notice. They no more have to submit their apps to apps stores and keep hoping that their apps stand out. A study reveals that nearly 60% of apps on the Play Store and on the Apple App Store never get downloaded given the fact that they never get noticed! Also, it is a pain for a user, especially in a poor internet connection to download an app. These app stores are also not a great option for SEO since the listings are excluded from Google search results. The PWAs remove such hassles as they are available via normal URLs and on Google search. Also, PWAs create a browser based program that incorporates features such as offline use, home screen access, full screen usage, device usage such as camera, location etc. and push notifications. Thus, to a user, a PWA offers the key features of a normal app with added enhancements making them more attractive. PWAs can be associated with many adjectives such as progressive, responsive etc. PWAs are built with progressive enhancements that make them work on every browser, for every user and every time on every phone. It is responsive as it fits on every screen, be it fixed or mobile. One can also share PWAs via URLs or social platforms. Also since PWAs function as a website, they are indexable. This means that they can be discovered on search engines and ensures additional traffic and SEO driving opportunities. Since PWAs are served over http, they deliver a safe online environment through encryption between the browser and website and prevention of snooping and content tampering. Reliability is ensured because when users launch progressive web apps from their home screen, the apps load instantaneously regardless of the state of the network. Due to service worker background scripts and pre-caching of resources, PWAs provide rich offline experiences so that no matter the connectivity, users have a consistent and satisfying brand interaction. PWAs also allow swift and smooth interactions. They eliminate jerky scrolling, allow faster loading of animations and prevent lengthy wait time for queries and navigation. PWAs give a seamless experience to its users. They don’t have long download times and the application updates will also happen without any extra effort. Thus, they will gain access to the latest features, functionality and security updates without any hassle. If you’re deciding to leverage the benefits of PWAs for your business, then you must start by keeping a few things in mind. Firstly, you should assess clearly whether a PWAs is right for your brand or not. Also, you should consider the app install experience. One should be thoughtful about when to introduce the install prompt to the user. The design of the PWA and the way it interacts with the user should also be decided. Worried of the WannaCry Ransomware Attack? We Have a Way Out!